We are very excited and honoured to announce that Ralf Roessner has chosen our farm as the UK venue for his talk and workshop over the early May Bank Holiday weekend. Ralf is a big name in biodynamics on mainland Europe. He is a passionate bee keeper and biodynamic farmer who produces light root (Chinese yam), which is prized for its medicinal properties. In addition, he has worked in the field of water research for over 20 years. 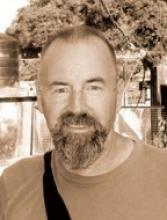 Ralf specialises in natural medicine, nutrition, healing water technologies and education in the “subtle energy fields”. He is the author of The Light Root and The Genius of Bees and the Elemental Beings. Both books are available to buy from the Biodynamic Association's online shop. ​On Friday 3rd May at 8pm he will be giving a talk on The Initiate Consciousness and the Mission of the Folk Spirit. 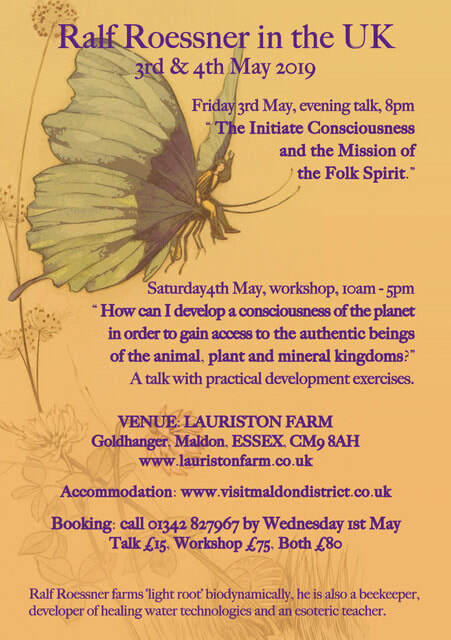 This is followed by a workshop on Saturday 4th 10am - 5pm, How can I develop a consciousness of the planet in order to gain access to the authentic beings of the animal, plant and mineral kingdoms? A talk with practical development exercises.